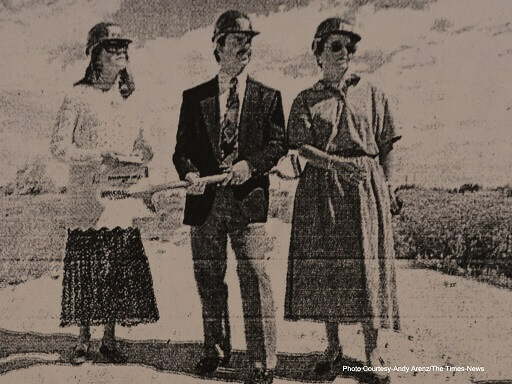 Seastrom is a true story of the American Dream. Founded in Glendale, California in 1928 by Wensil Seastrom in his garage, Seastrom filled a need for electric motor components and quickly became a job shop for the growing aerospace industry, The company resided in Glendale in several locations until 1994, when it moved to Twin Falls, Idaho. Still family owned today, Seastrom’s state-of-the-art 100,000 square foot facility houses the premier stocking manufacturer of precision assembly hardware. Seastrom understands the importance of producing quality products. We have earned the distinction as an approved supplier for most major aerospace and commercial manufacturers. Seastrom Manufacturing is a full service manufacturer with precision stamping, CNC machining, waterjet, four-slide, screw machining and laser part marking capabilities. 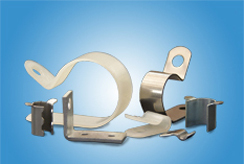 We manufacture in most metallic and non-metallic materials. We also offer secondary operations, assembly and packaging. Seastrom emphasizes systems integration, quality engineering, in-house die design and tooling, high-speed production, facility-wide networking and strict manufacturing controls to promote product quality, project safety and conformance to technical standards. Seastrom, as a multi-faceted manufacturer, has the most comprehensive online catalog of standard washers and assembly hardware. We stock over 60,000 part numbers, including flat round washers, spring clips, spacers, shoulder washers, lock washers, clamps, brackets, expansion plugs and much more. Hiram Jones pins, terminals & connectors are also part of our inventory. Seastrom is also a proud supplier of military hardware (M, MS, NAS & AN). As budgets get tighter and you take on more responsibilities, Seastrom as a full service manufacturer has the stock, personnel and expertise to help you control costs. You can choose from our huge selection of stocked standard precision hardware to find the part that meets your specifications. If stocked standards do not meet your requirements, we can partner with your company to engineer new parts and products, recommend economical purchasing, and can stock proprietary products for immediate delivery. Seastrom emphasizes systems integration, quality engineering, high-speed production, facility-wide networking and strict project control to promote product quality, project safety and conformance to technical standards. 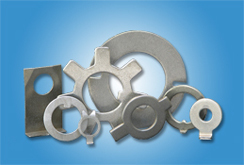 We utilize virtually all stampable metals and non-metals. Seastrom specializes in extensive die and material changes to meet the wide variety of customer orders and our reputation for quality workmanship assures each customer that their product needs will be met. Our goal is to be your one stop partner for precision fasteners. Seastrom manufactures and stocks the largest quantity of precision fasteners in the industry. Over 44,000 part numbers equating to over 158 million parts. This inventory gives our customers’ options when buying standard and specialty hardware. If we do not have exactly what you need, we may have an equivalent part close enough in size, thickness, material or plating to meet your needs. All Seastrom standard parts are listed online with their price, stock and delivery for ease of use. Online ordering is also available. If a pricing is not available an email quote request is provided for our customer’s convenience. 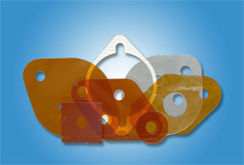 Custom products are a specialty of Seastrom Manufacturing. As a full service manufacturer and we can help our customers save time and money on a custom product beginning with the design process. Seastrom has multiple methods of manufacturing (ie. Stamping, CNC, Screw Machine, Four Slide) which translates into a vast amount of knowledge that our customers can draw upon. Our in-house engineering departments can work with our customers’ engineers to recommend manufacturing methods, materials, tolerances, and configurations that are possible in each method of manufacturing. All our engineering department requires are quantities, target pricing and the ability to view the whole assembly. If you don’t have the capability to make a schematic, they can do that for you, as well as reverse-engineer an existing part that you don’t have dimensions for. As the project develops, quotes can be given on the parts to make sure you stay within your price point. Projects can consist of only one part, or as many as you require.